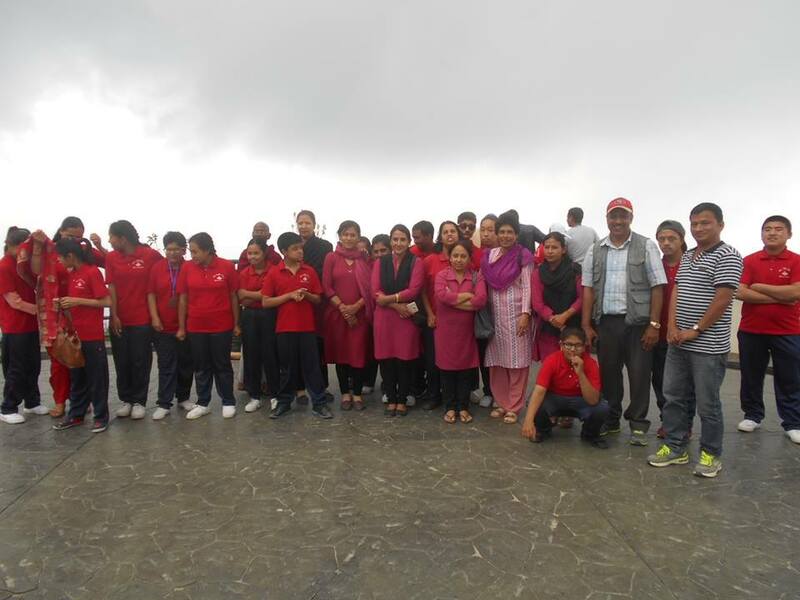 SCNs Lisa Perekkatt, director of Navjytoti Centre, Kathmandu, Nepal, Philomina Bading and teachers took the children for an educational tour to Chandragiri Hills Ltd. situated on the south west of Kathmandu valley at Thankot in Kathmandu on May 4, 2017. Chandragiri Hills is situated above two and a half thousand meters above the sea level. A hospitality company operates a cable car, a few eateries and the area has a playground for children. People visit the place because of its scenic beauty. On a clear day, visitors could get to see the snow capped Himalayas. Visitors are happy to see the Bhaleshwar Mahadev temple which resembles Lord Shiva, one of the main gods of the Hindus. Children enjoyed the most in the playground.